Moscow is unlikely to be deterred from carrying out aggressive foreign spying operations by the embarrassing unmasking of several of its agents in the Netherlands, analysts who study the Kremlin and Russian intelligence services have said. 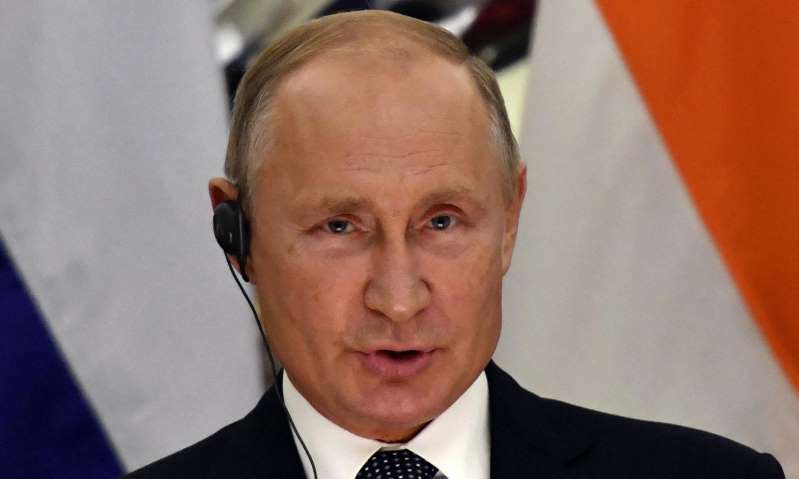 The sloppy tradecraft of the GRU, the Russian military intelligence agency, should be cause for concern in the Kremlin, they said, but Vladimir Putin is still likely to take Thursday’s public revelations as just the “collateral damage” of his political war with the west. On Thursday the UK Foreign Office, Dutch authorities and US Department of Justice disclosed information on malicious cyber activities conducted by Russia. Dutch authorities revealed that with the help of UK intelligence they thwarted an attempted cyber-attack on the headquarters of the Organisation for the Prohibition of Chemical Weapons (OPCW) in The Hague, which included rounding up and deporting four hapless GRU officers travelling on diplomatic passports. The list of the GRU’s diverse targets revealed on Thursday, including the World Anti-Doping Agency, had less to do with traditional military intelligence than with Russia’s public image, analysts told the Guardian. They showed how a spy agency founded to support Russia’s armed forces had been redirected toward political targets. “It seems like the only thing they’ve taken from the military is the idea that they can act like they’re at war with no rules,” said Andrei Soldatov, the author of The Red Web, a book on Russian internet surveillance, and The New Nobility, on Russia’s security services. The Kremlin was likely to have been ready for the possibility that their operations, carried out in April, would be exposed, Soldatov said. Russia had months to forge an agreement with the Dutch to keep its botched operation a secret, perhaps showing that it did not put a priority on concealment. And despite the GRU’s public embarrassment – and possible exposure of other agents because of a leaked car registration database – Soldatov and other analysts said they expected the fallout for the spy agency to be limited. A source close to the Defence Ministry said there had not been reports or rumours of a large shake-up since the spying operation was discovered in April. “Military people do what they are told, they would not be punished for it,” the source, who asked not to be identified, said. The hope in the west has been that by publicly exposing the GRU operations, Putin could be forced to rein in the behaviour of the spy agency. The coordinated release of information by the UK, Netherlands, and United States on Thursday appeared targeted to name and shame GRU agents in briefings extraordinary for their detail. But those who follow the Kremlin say that Putin rarely bows to direct pressure and constantly seeks “asymmetric responses” that play to Russia’s strengths. With a change in the political direction being unlikely, he said, the Kremlin would more likely seek “technical solutions”. “They would just think that they were not up to the task,” he said. “They would need better equipment, better people. They would do that. And in time we’ll see some kind of improved Boshirov and Petrov.” They were a reference to the two Russian agents accused of poisoning Sergei Skripal. Thursday’s briefings allowed curious civilians to Google their way into the lives of active GRU officers, exposing their dating profiles and amateur football clubs. While the case was embarrassing, said Vladimir Frolov, a prominent foreign policy analyst, it was not as damaging as “a major defection, Poteyev and the illegals in 2010.” That was when Alexander Poteyev, a colonel in Russia’s foreign intelligence service, defected to the United States and revealed the identities of Russian sleeper agents there. The operations appeared rushed, he said, perhaps indicating that agency was given little time for preparation. He predicted limited fallout for the GRU. “There will be some internal investigations but not major firings,” he said. Putin, a former intelligence officer, has been willing to take risks to show his loyalty to the military.